IndiGo, forced to cancel about 30 flights daily due to pilot shortage, hiring more than 100 Boeing 737 commander level pilots, primarily those exiting Jet Airways, along with expat pilot amid aggressive capacity expansion. The beleaguered full-service airline has grounded more than 60% of its planes and has not paid its engineers, pilots and senior management since December. The unprecedented existential crisis at Jet Airways has its harried and long-unpaid pilots looking out for jobs, which in turn has proved a silver lining for IndiGo. In mid-February the airline had announced that it will operate about 30 fewer flights each day till March-end due to the pilot shortage but these flights have now been taken out from the entire summer schedule that goes on till October. In addition, several senior expat pilots have reportedly quit their jobs at IndiGo in the last few months, impelling the airline to scout for new ones to fill in the vacant posts. According to The Economic Times, Indigo is hiring more than 100 Boeing 737 commander level pilots, primarily those exiting Jet Airways. 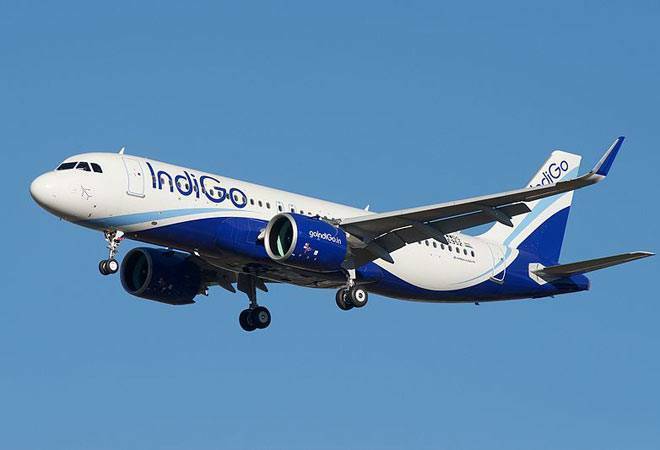 A source aware of IndiGo's hiring plans told the daily that it would take six months to train the Boeing pilots so that they could fly A320s, an aircraft type IndiGo operates. Even with the added cost of re-training, this option works out cheaper than hiring expatriate pilots, who charge salaries up to twice that of their Indian peers, with basic salaries reportedly standing at about $13,000 a month. "We continue to engage in recruitment efforts both for expats and for the pilots who might be out of job in India to join us", William Boulter, IndiGo's Chief Commercial Officer said on Wednesday. The airline previously announced that it is offering jobs to Jet Airways' pilots along with compensation for their overdue salaries. The beleaguered full-service airline has grounded more than 60% of its planes and has not paid its engineers, pilots and senior management since December. Given that pilots at full-service carriers get higher pay and other benefits, IndiGo's own staff has called the move an "injustice". In addition to poaching Jet's staff, IndiGo has already hired about 130 expatriate pilots. The hiring frenzy, moreover, comes amid aggressive capacity expansion at IndiGo. "We are very excited to add 14 new flights to our network along with three new routes connecting Chennai, Raipur and Gorakhpur [from April]", Boulter said last week. The airline reportedly also aims to take delivery of 48 planes of the Airbus A320neo family this year, including 20-25 A321neo planes, which it plans to deploy on the medium-haul international routes. On Wednesday, it launched its flight on the Delhi-Istanbul sector, and announced plans to connect more Indian cities to countries such as China, Vietnam, Myanmar and Saudi Arabia. "Once we get more A321s, we will do more longer routes", explained Boulter, adding, "We are still hoping to operating to London this year". For the record, A321neo aircraft has the capacity to carry around 230 passengers while A320neo carries around 180 passengers. IndiGo's order book still has 430 planes due for delivery. The carrier currently has more than 210 planes in its fleet and a pilot strength of over 3,000, including more than 1,200 commanders, of whom 50 are expatriates. According to Sydney-based Centre for Aviation (CAPA), the current number of pilots in India stands at 7,963 and domestic airlines will have to hire 17,164 more in the next decade. Meanwhile, SpiceJet, which has all its 12 Boeing Max planes grounded following the crash of an Ethiopian Airline plane early this month, is also looking to hire pilots for its expansion plans. The low-cost carrier conducted walk-in interviews in Mumbai on Wednesday, and an airline source told PTI that as many as 260 Jet pilots, including 150 captains, appeared for the interviews. Significantly, Jet Airways' lessors have offered 50 of its Boeing aircraft to SpiceJet.